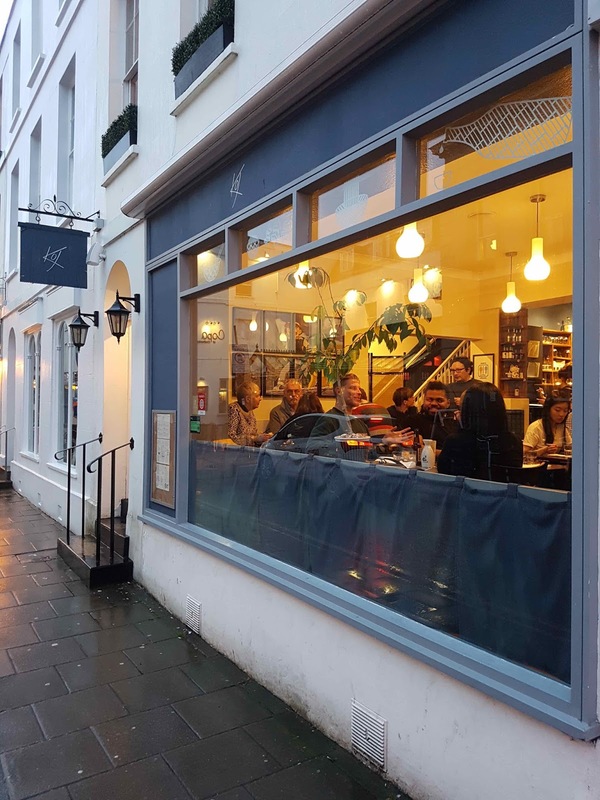 Owned by Masterchef finalist Andrew Kojima, the eponymous Koj in Cheltenham serves innovative small plates of Japanese street food. The cute dining spice with iconic Japanese brands adorning the wall, the open kitchen with calmly busy chefs and the friendly front of house team, including Andrew himself, all raised my expectations that we were in for a treat. 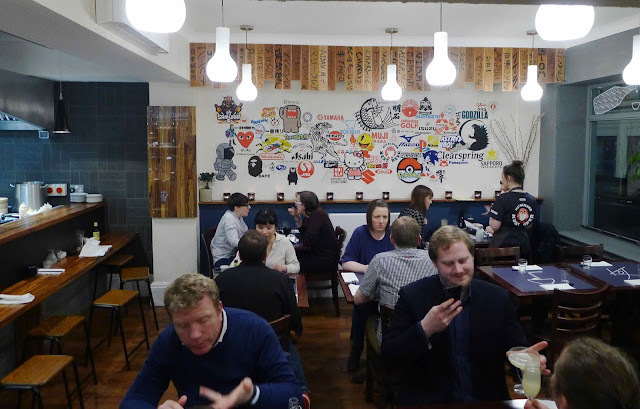 The menu is divided into appetisers (£4), grazing dishes (£10), hirata buns (£6) and rice and sides (£3). We ordered a bunch of stuff that was thankfully brought out gradually rather than in one job lot. 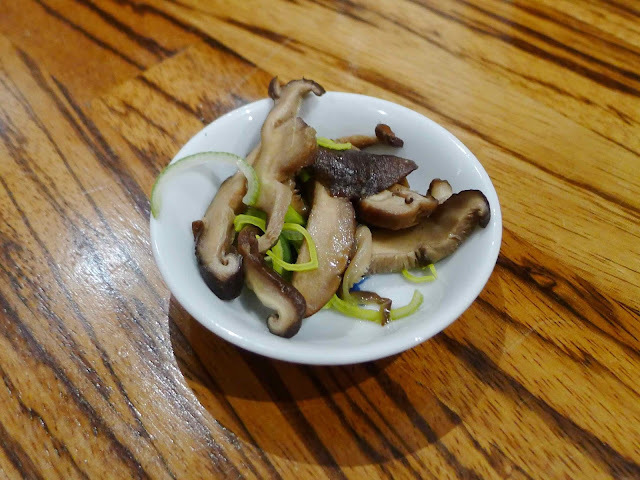 A complimentary dish of lightly pickled shiitake mushrooms and spring onions was light, fresh, different and delicious; a theme that continued throughout the meal. 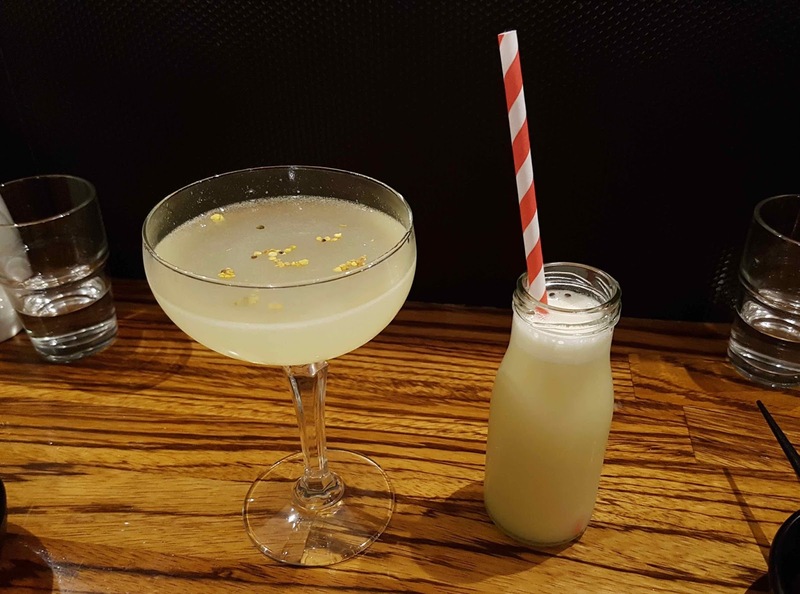 Mrs G sank a couple of Mitsubatchis (£10), a seriously neckable yet deceptively boozy combination of kojin gin, honey syrup, lemon juice and bee pollen. A Taking the Calpis (£8) was a fruity, slightly creamy and surprisingly well-balanced combination of dry manzanilla sherry, pineapple, yuzushu (yuzu macerated in sake), calpis (a milky, slightly-acidic Japanese soft drink) and lemon. 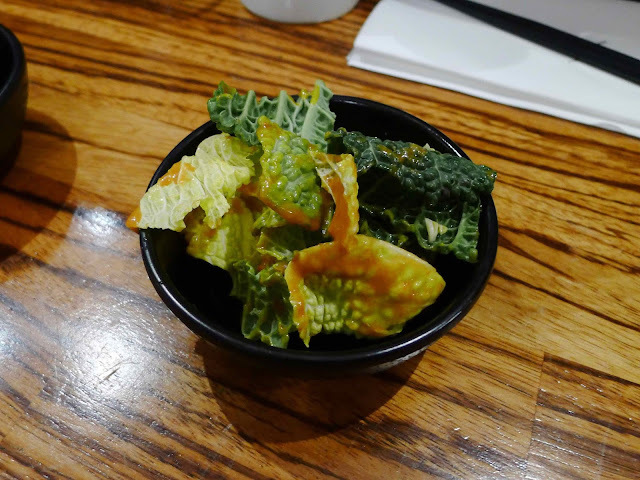 A bowl of savoy cabbage leaves (£4) were coated in a compellingly savoury and spicy miso dressing. It’s amazing how something so simple could be so tasty. 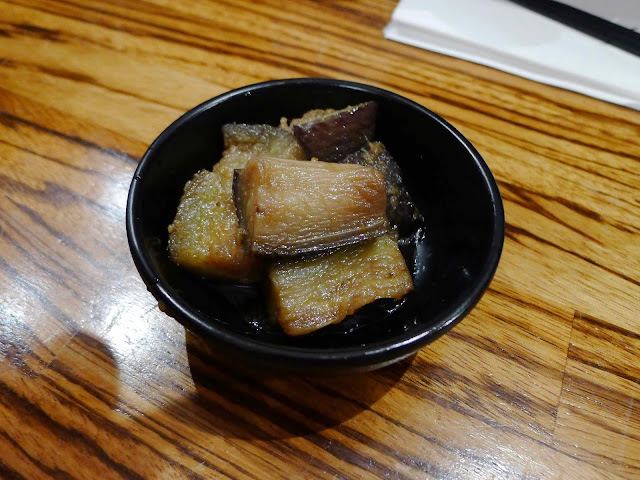 Meaty aubergine pieces (£4) were coated in an equally well-judged sweet ginger dressing. 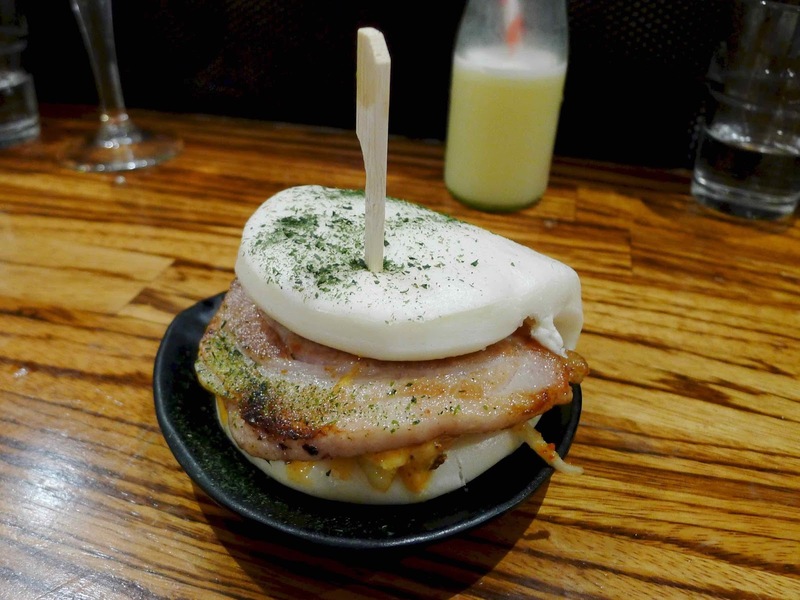 A pork belly hirata bun (£6) gave the acclaimed Bao a run for its money. The squidgy bun was filled with a beautifully crisp and tender round of flesh topped with warming and richness balancing kimchi and kimchi mayo. 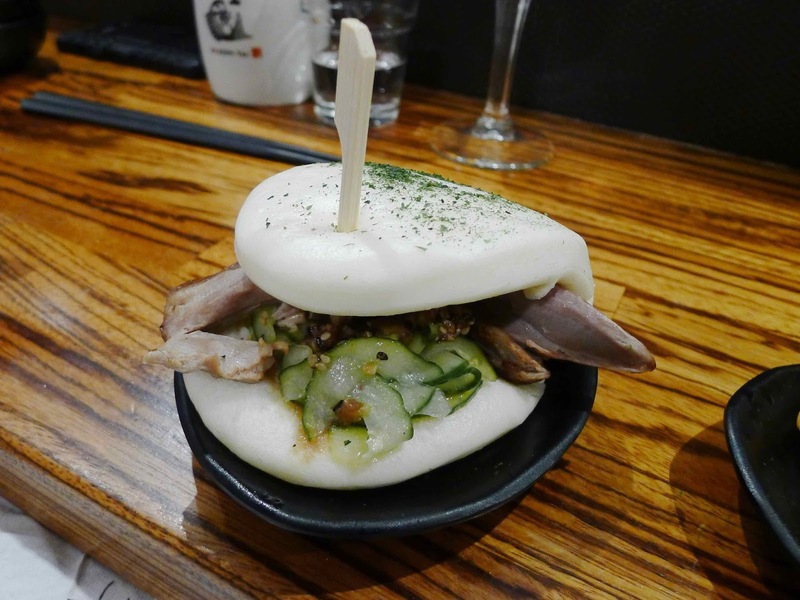 A duck leg bun (£6) contained a generous amount of meat topped with smokey barbecue sauce and lightly pickled cucumbers. It was less successful than the pork bun due to the firmer texture of the meat which didn’t have as much give as the soft bun. A trio of grazing dishes were smashing. 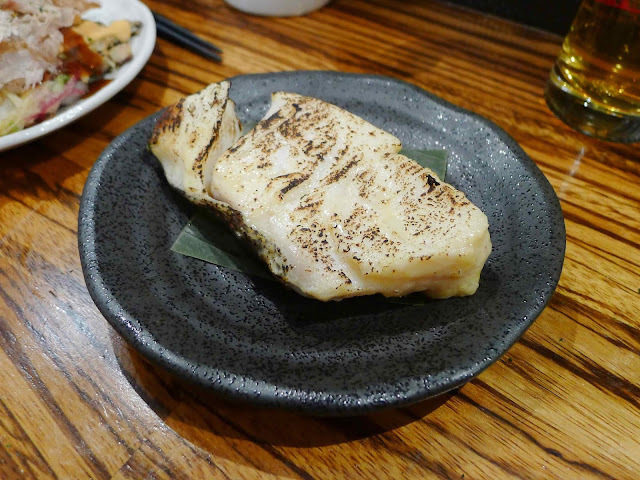 A perfectly flaky fillet of roast cod (£10) was enhanced by a savoury marinade of white miso. 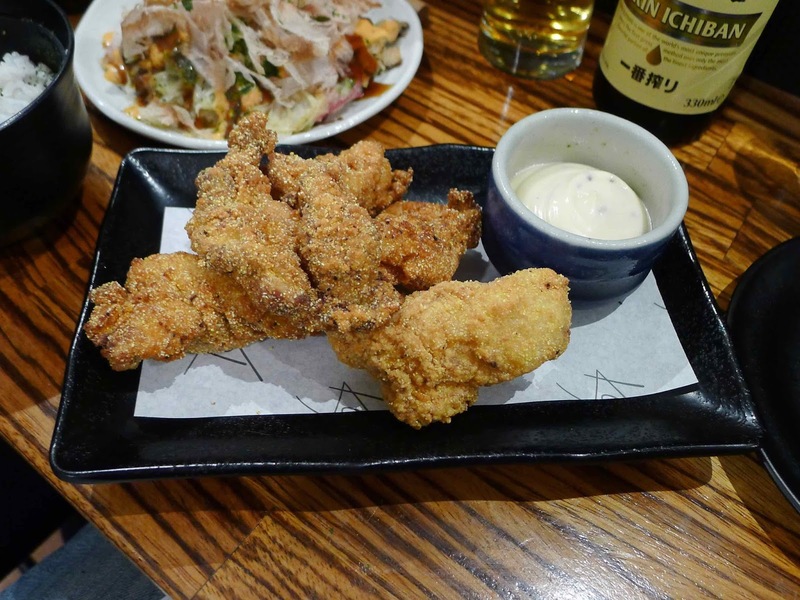 Koj fried chicken (£10) was worthy of being the only dish on the menu to be named after the owner. Uber-juicy chicken pieces coated in a grease-free, super-umami crumb were served with a ridiculously addictive bowl of sesame mayo. Okonomiyaki (£10) transported me back to my travels around Hiroshima. 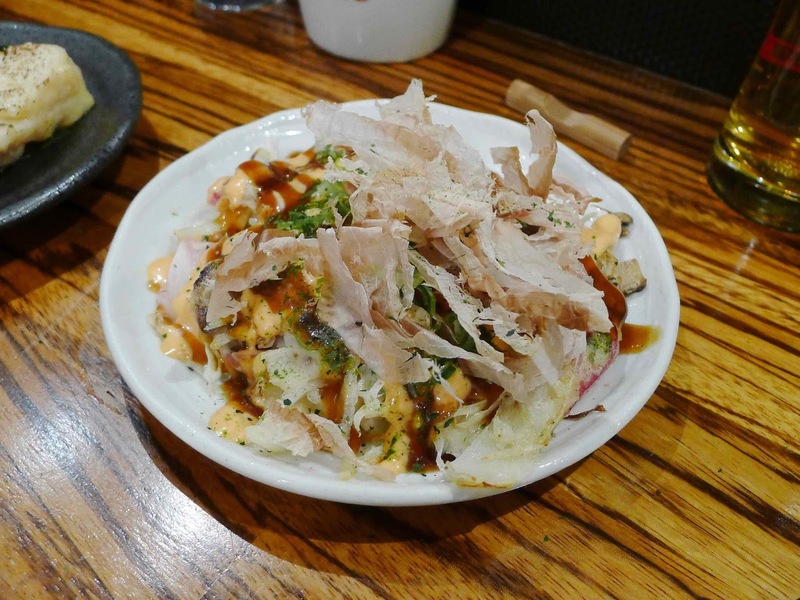 Essentially a savoury pancake, Koj’s version contained a comfortingly soft and crisp combination of cabbage, red onion and mushrooms topped with a sweet and tangy brown sauce, kimchi mayonnaise and savoury bonito flakes. It looked like a hot mess but it tasted like a dream. 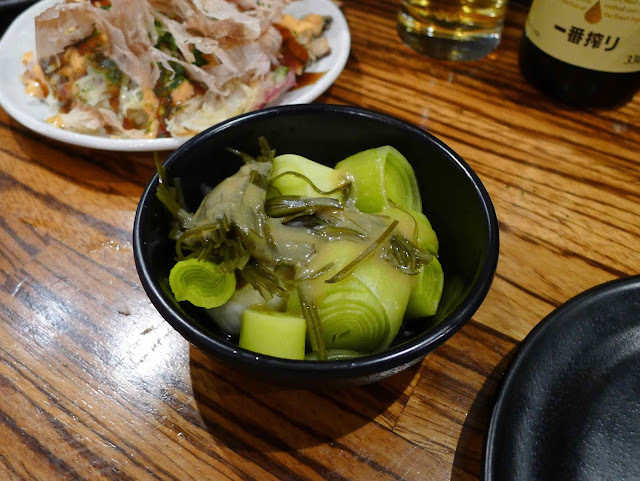 Soft and sweet leeks and konbu seaweed (£3) were topped with su-miso mustard sauce. 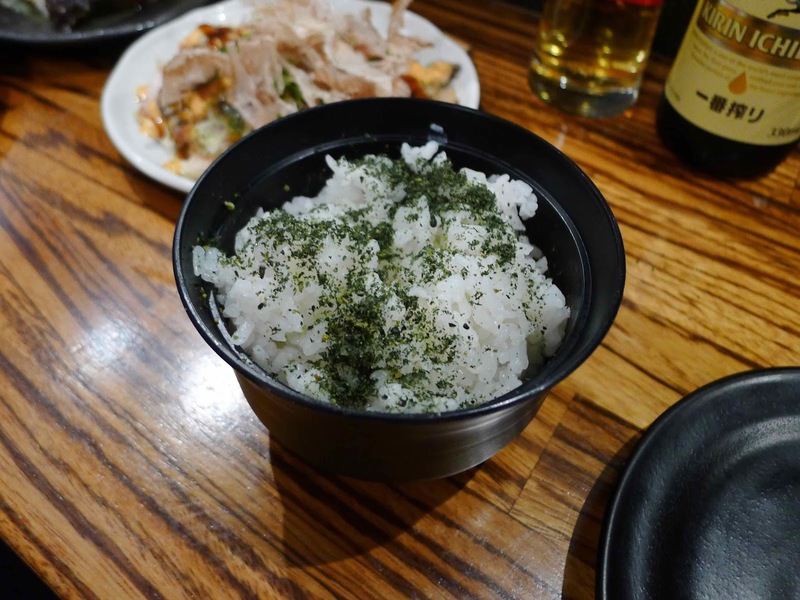 A side of sticky furikake rice (£3) was sprinkled with seaweed and sesame. Desserts maintained the very high standard. 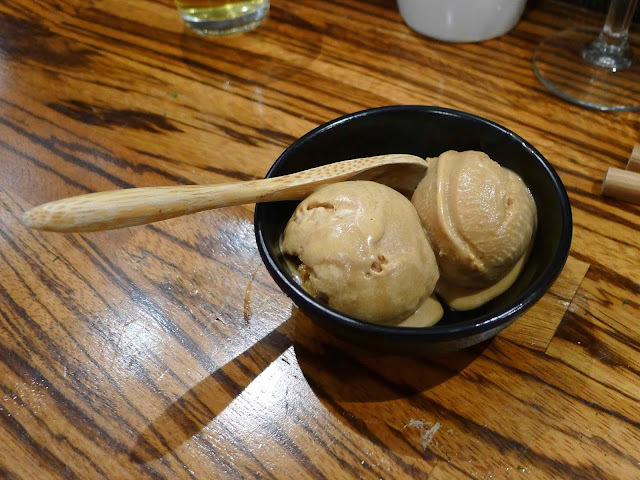 A bowl of burned white chocolate and miso ice cream (£3.50) was one of the finest ice creams I’ve ever eaten. Gorgeously smooth and creamy, it had a toasty and salty Caramac thing going on. 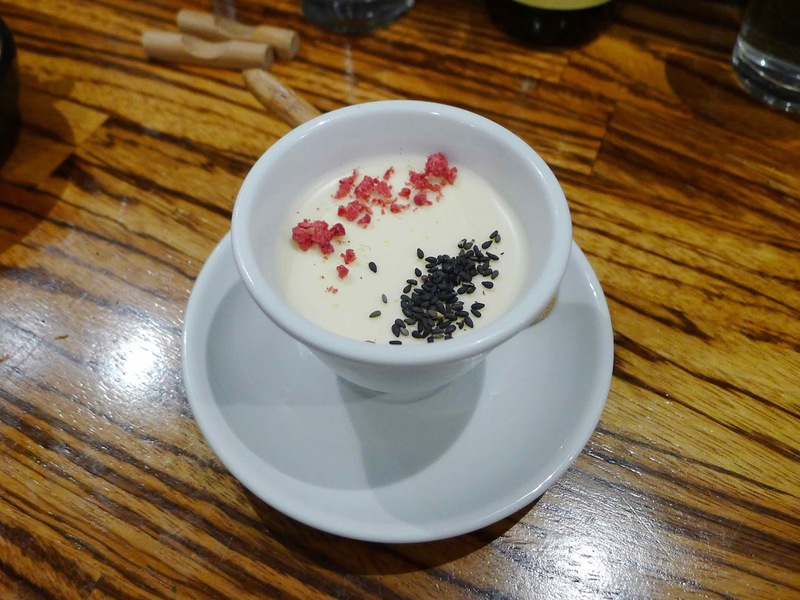 A smooth and citrusy yuzu posset (£3.50) topped with black sesame and raspberry was as good an example as I’ve eaten anywhere. We had a brilliant meal at Koj. It’s definitely achieved its aim of pushing the boundaries of Japanese food in the UK and it’s great fun to spend an evening grazing on interesting small plates whilst drinking cocktails and Japanese beers. No, I haven't seen it on any Cardiff menus either - would be great if it appeared. I think there's a few places in Bristol that does it too. Enjoy!